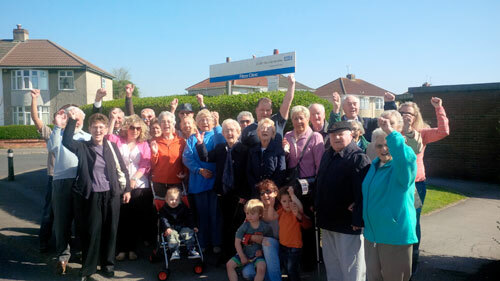 Campaigners are celebrating after it was confirmed that the Filton Clinic in Shields Avenue will remain open. They said the decision was a victory for "people power" and also common sense. The facility’s future was placed under threat in 2011 when specialist children’s health services were moved to the new hub building in Patchway. At the time, as reported in Filtonvoice, local people were angered by what they saw as another service being lost to Filton. The level of public anger was so great that the closure was suspended pending consultation and a review. Late last year it was decided to retain the facility and now this decision has been confirmed after a meeting of the South Glos Public Health and Health Scrutiny Committee. Cllr Ian Scott, who chairs the committee and who has been at the forefront of the campaign to keep the facility open, told a meeting of Filton Town Council that a review had shown more than 70 per cent of the space at the clinic during the week was being utilised by podiatrists and opticians while hearing aid batteries were also being dispensed. He also said that with the population in Filton and Patchway set to nearly double by 2021, there will be a need for both sites. He said: "The PCT has decided to retain both Filton and Patchway Clinics and make better use of both sites." He said other services would be sought which could use the facilities. At a gathering of protesters outside the clinic, Cllr Scott was praised for his hard work by protesters. He told protesters: "If we had got rid of this clinic, what would have happened to the site? "This is a victory for common sense and for the people of Filton." One protester said: "I am so glad they have decided to keep this clinic open. "I came here as a toddler and now as a mum and we really need it in Filton." Local man Brian Smith said it was a victory for "people power".